Organic Guayusa induces an awakening effect, similar to coffee and yerba mate. Guayusa tea stimulates the mind and body. Therefore, when it comes to dreaming lucid, there would be no other better option for you to try than Guayusa tea! But hurry, because we have a limited supply of our special Guayusa dreaming tea. Apart from its significant contribution to induce lucid dreams, the tea carries several health benefits. It has been said to detoxify blood, balance sugar and pH level, lower blood pressure, reduce cholesterol risks; and it also has been said to improve digestion and the overall urinary system of the body. Give it a try not just to induce lucid dreams, but as a tea to help with your entire body’s health. In studies of Guayusa, this tea has been found to contain 50% more anti-oxidants than green tea with the second highest ORAC score of any other food product tested. Tests have also shown Guayusa to contain 90 mg of caffeine/ 8oz cup making it the second most caffeinated plant on earth next to coffee but with many more health benefits. 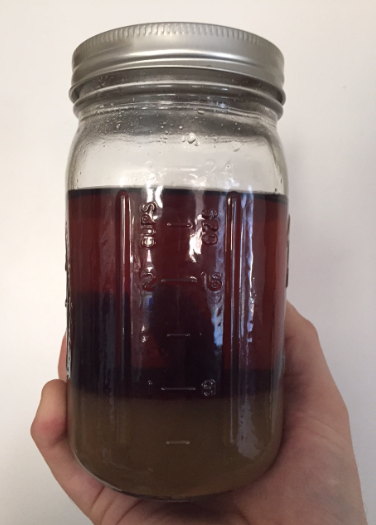 One of the most important findings of this study was the synergistic effects of Guayusa’s unique blend of Theobromine (also found in high quantities in dark chocolate), Theophyline, vitamins C and D, essential minerals Potassium, Magnesium, Calcium, Zinc, Chormium, caffeine and all 15 essential amino acids (most importantly Leucine, which is not synthesized in our bodies and is needed to repair and build muscle tissue). • It also contains the minerals potassium, magnesium, calcium, zinc and chromium and vitamins D & C.
The indigenous Kichwa say guayusa is so captivating that visitors are warned once they drink it, they will always return to the Ecuadorian Jungle. The women say it relieves symptoms of menopause, helps the liver and stomach; soothes and reduces aches and pains and offers balance and strength to pregnant women. 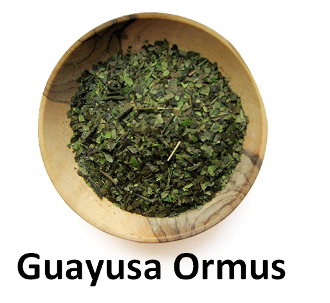 Spiritually, elders say guayusa helps dream recall, protects against insect and snake bites, and connects them to the forces of nature. Traditionally, indigenous families woke up at dawn to drink guayusa around their communal fire until sunrise. The elders taught the youth about ancestral myths, hunting techniques, and social values, and about what it means to be “Runa” in the indigenous cosmovision. Community shamans, known as yachaks or rukus in Kichwa, will also play a traditional bamboo flute (known as kena) and a two-sided weasel-skin drum, and sing soft rhythmic songs during these early morning hours. The shamans also interpret dreams from the previous night, and make recommendations to guide the community and help them live in harmony with the rainforest. After drinking the first gourds of guayusa, children are often sent to go bathe in the river and receive its strength and cleansing for the day to come. Guayusa induces lucid dreaming and is known as the "watchman's plant," since even when sleeping you are aware of your surroundings. Guayusa was used to sharpen senses and keep hunters awake during hunting trips. The guayusa ritual continues to be a cornerstone of in some parts of Kichwa culture, bringing family and community together around the simple experience of drinking tea. Guayusa needs a diverse ecological habitat to grow. Its cultivation creates economic incentives for farmers to maintain the rainforest. The market created by sellers and drinkers requires farmers to actively reforest degraded lands in the Amazon. Buying guayusa at fair trade prices promotes organic agro-forestry as an alternative and more sustainable agricultural practice to slash and burn agriculture and deforestation.